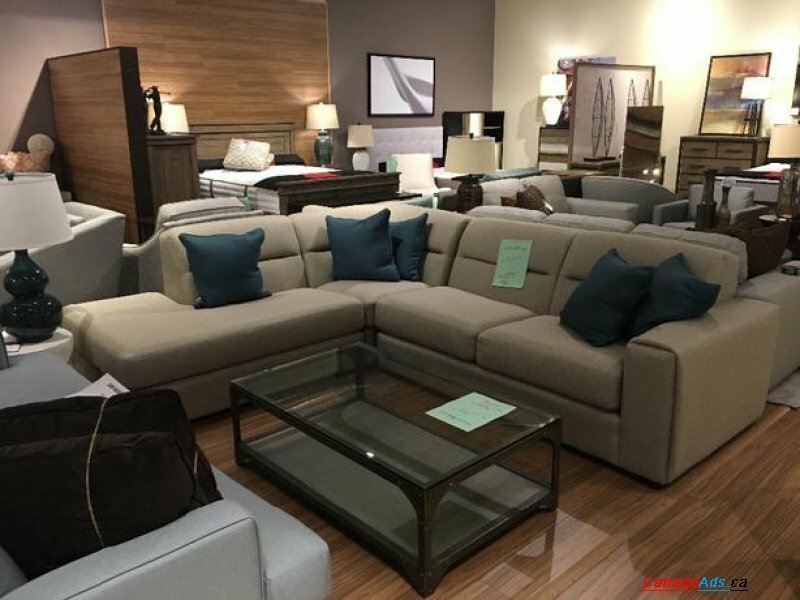 Three piece fabric sectional. On sale for $2999. Sofa measures 102" by 90" Chaise. See staff at Standard Furniture at 758 Cloverdale. Use this form to email Standard Furniture directly.